Sailors for the Sea in Portugal! 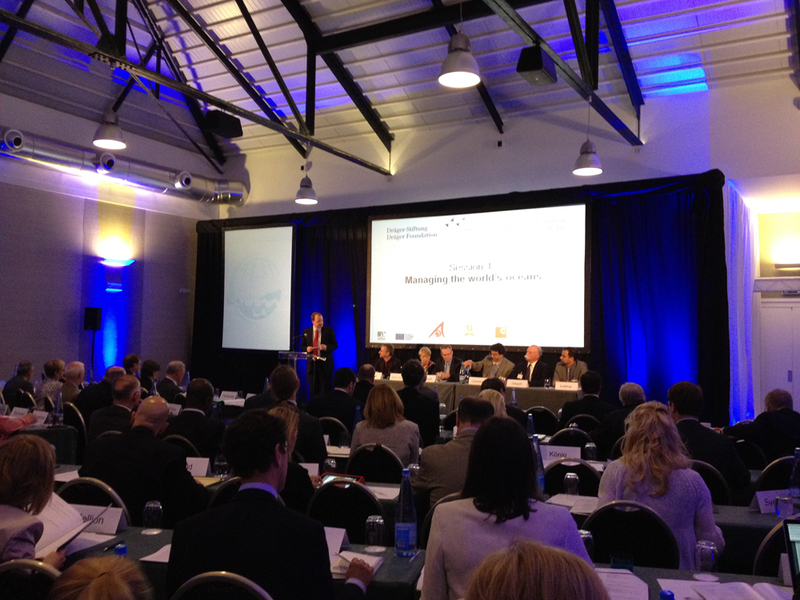 This week our Chief Executive Officer Daniel Pingaro and Chairman, David Rockefeller, Jr. are in Cascais, Portugal for The Draeger Foundation‘s 3rd conference on ‘Sustainable Oceans: Reconciling Economic Use and Protection.’ The focus of the 2013 conference is on good governance for sustainable marine development. H.S.H. Prince Albert II of Monaco provided opening remarks for the conference. Creating a general discussion around the idea that while discussion and theories around ocean conservation are important, there is now an acknowledgement that a roadmap is needed – and that we as a society, must move forward to support a sustainable ocean interaction. Otherwise we are on the brink of irrepairable harm to the ocean. Additionally, Eric C. Schwaab, the Acting Assistant Secretary for Conservation and Management at NOAA presented during the “Managing the Worlds’s Oceans” section. He noted the admirable cooperation between the United States and France through The Stellwagen Bank National Marine Sanctuary and the Agoa Marine Mammal Sanctuary in the Caribbean’s French Antilles. These “sister sanctuaries” work together to protect the humpback whales that migrate annually between the two sanctuaries. Sailors for the Sea’s Dan Pingaro is a member of the Stellwagen Bank Advisory Council, and Sailors for the Sea is working with the sister sanctuaries program to develop a plan that will allow sailors to be “citizen scientist.” Cruising sailors would help by photographing whales, noting their location and sending the information back to Stellwagen Bank. This would help scientist track the migratory patterns from New England to the Caribbean! Stay tuned for more updates from Portugal!